Another Criterion Blu-ray is going out of print at the end of the month. 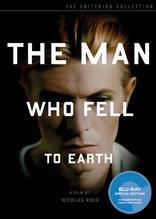 The Criterion Collection has just announced that Nicolas Roeg's 'The Man Who Fell to Earth' starring David Bowie will be discontinued on June 30. So if you enjoy the film, be sure to pick one up before they're all gone.